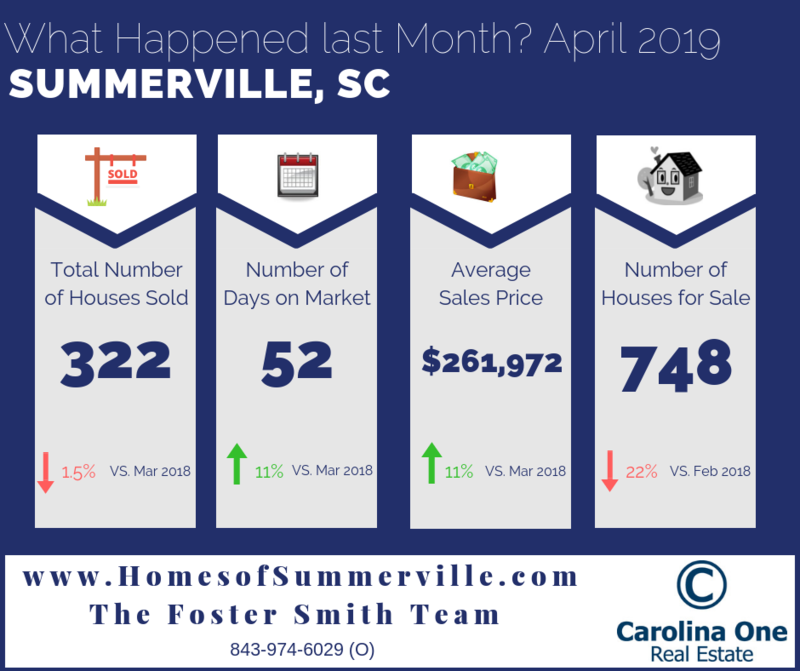 April 2019- What Happened in Summerville SC Real Estate Last Month? The average sales price for a home for sale in Summerville continues to climb upwards and averaged $261,972 last month, which is up eleven percent compared to this time last year. The average price per square foot for a home in Summerville has risen to $128. The real estate market has seen a tremendous increase in new homes for sale in Summerville as the demand grows and the supply of resale homes dwindles. New home developments and master planned communities, such as Cane Bay Plantation, Nexton, and Summers Corner are meeting the needs of many people desiring to live in Summerville with amenity centers and schools within the communities. According to our Summerville real estate market reports, we've dropped below 2.5 months supply of homes for sale in Summerville . Make sure you are set up to be notified when Summerville homes come on the market. To find out what your Summerville home is worth in the current market fill out a What's My Home Worth Form.